Ramadan Kareem to You All! As per the tradition every year, I have made a list of all the TV Shows airing this Ramadan and tried my best to get everything correct before releasing it. The timings should be correct but networks sometimes fidget with it. 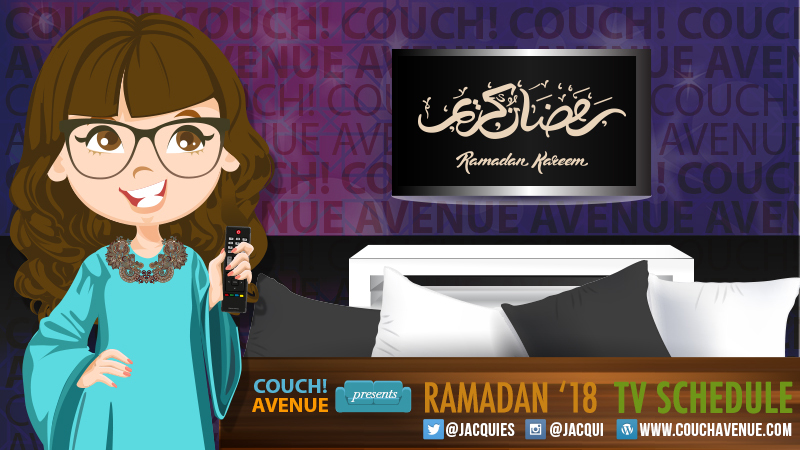 So without further ado, here is the Ramadan TV 2018 list for both Arabic and Khaleeji Shows! Wow, it’s been 14 freaking years of blogging, well sorry blog I think the last 4 years I’ve been super bad and not highly active. I am not sure why this is happening but then again I remember something my Uncle-in-law said when I was like 18-ish or something. He was like you keep me up to date with the latest Computer Tech Talk because right now I have no time for it and I just can’t. He was in his mid-30s at the time. I am in that time period as well hehe therefore I think I am in that stage of life. I barely can keep up with myself. Anyways I thought it was best to drop by and wish myself a Happy Blog-o-versary! And here is hoping that my micro-blogging days with my Instagram account (@Jacqui) doesn’t die out. P.S. You know what I think for this Ramadan I will be posting one post a day and getting back into it! I really hope I don’t give up!